In memory of the refugees who have drowned in the Mediterranean Sea. In protest against the Government’s decision to end search and rescue missions saving the lives of refugees fleeing wars and instability in Libya, Syria and other countries. Odysseus embarked on an epic journey home to Ithaca after being exiled for many years fighting in the Trojan War. There are other myths and legends about journeys and maybe our guest writers dream of a journey and of course undertook their own emotional and perhaps, dangerous, journeys to the UK. Predrag Finci born in Sarajevo, Bosnia, from where he had a perilous escape to England, is a philosopher, author, and essayist. His work is best known for its combination of erudition, philosophical and aesthetical insights, and personal experience. Finci writes extensively in his native language and also in English. 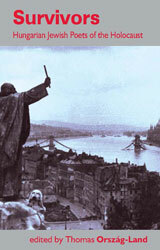 A great number of articles and reviews of Finci’s books have been published in Bosnia and Croatia. Shabibi Shah escaped from Afghanistan arriving in England in 1984. She draws on this experience for her as yet unpublished novel Innocent Deception. Where do I belong is a memoir about Shabibi’s life in Afghanistan and then as a refugee. She has a degree in journalism and was a college lecturer in Kabul. She is a published poet in Dari. Fatemeh Shams born in 1983 and from Mashhad, won the silver medal in the national Literature Olympiad in 2000. After graduating in sociology from Tehran University, Fatemeh pursued post-graduate studies in London and then in Oxford where she taught Persian language and literature. In the 2009 post-election turmoil, Fatemeh and her family were targeted by the state for supporting the Green movement. Since then Fatemeh has been forced into exile and has been active in the social media network and Iranian intellectual community in exile. She won the Jaleh Esfahani poetry award for the best young Persian poet in 2012. Her first book of poetry was published in 2013 under the title of ’88’. Paulina Egle Pukyte (b.1966 in Vilnius, Lithuania) is an artist, writer, essayist, and cultural commentator. She graduated from the Vilnius Academy of Art, and received a Master’s degree from the Royal College of Art in London. Her first book Jų papročiai (Their Habits) was published in 2005. Her second book – ‘a string of very short stories and other texts’ Netikras zuikis (Fake Rabbit) was published in 2008 and shortlisted for the Book Of The Year award in Lithuania. Herthird book Bedalis ir labdarys (A Loser and a Do-gooder,Vilnius: Apostrofa, 2013) is a journey of an outsider. Rahila is a rootless vagabond whose spiritual home is the now disappearing Sahara. Her endless journeys can be traced in her My Desert Odyssey and Odyssey Continues. She is now working on the promotional book, Being Neuter. Open Mic – We welcome any poets and spoken word performers on the subject of their perilous journeys to the UK or attempts at return to their countries of origin. a playlet from City of Stories by established Iranian born playwright, Parvaneh Soltani, will be performed. 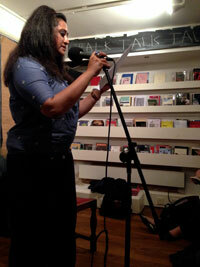 Bangladeshi-born British bilingual poet, storyteller. Her performance fuses the lines between education and entertainment and her workshops are rooted in Asian folk, oral traditions and heritage. Shamim Azad has published over 30 books including novels, collections of short stories, essays and poems in both English and Bengali and has been included in various anthologies including British South Asian Poetry. Bangladeshi born British poet. She is a social worker (for autism) too. Also a famous presenter in National TV Channels, UK TV Channels & radio1503 A M. Awarded as Miss Bangladesh in 1998. 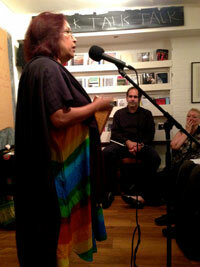 Bangladeshi born British poet and storyteller. She has published her book in English and is also a performer who has performed in various international productions . 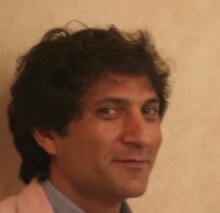 Ali Abdolrezaei was born in Iran. He began his professional poetic career in 1986 publishing seven volumes of his work inside Iran before severe censorship made his work inside the country impossible. He was banned from teaching and public speaking, which forced him to go into exile in 2002. After leaving Iran, he briefly lived in Germany followed by two years in France. 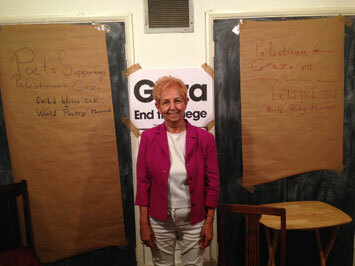 Fathieh Saudi born in Jordan, she worked as paediatrician with Palestinian children in Jordan and Lebanon. For many years she has been involved with the defence of human rights, peace and justice. Her recent published collections of poetry in English include Prophetic Children(foreword by John Berger) and Daughter of the Thames. Chloe is out next year. 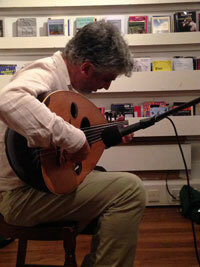 Adnan Al-Sayegh was born in 1955, in al-Kufa, Iraq, near the Euphrates River. 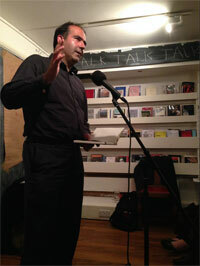 He has published eleven collections of poetry, including the book-length Uruk’s Anthem (Beirut 1996) and won several international awards. He left his homeland in 1993 and since 2004 he has been living in exile in London. Amarjit Chandan was born in Nairobi, Kenya and lives and works in London. He has published seven collections of poetry and four books of essays in Punjabi and his poems have appeared in anthologies and magazines world-wide. He has edited and translated into Punjabi about thirty anthologies of Indian and world poetry and fiction by, among others, Brecht, Neruda, Ritsos, Hikmet, Cardenal, Martin Carter and John Berger. 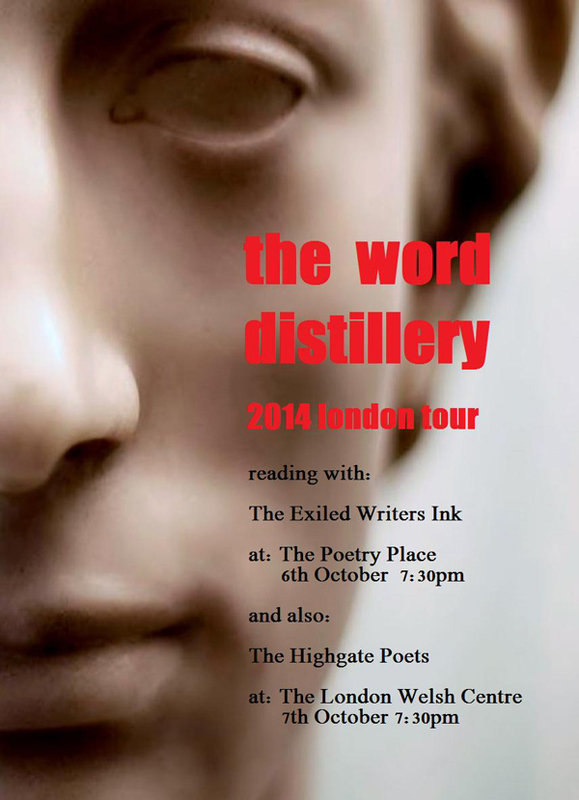 Maria Heath Beckett is a London based writer and has performed her poetry regularly around London and also in Paris. She grew up in York, subsequently living in France and Italy, before settling in London, aged twenty-three. Her writing has appeared in Tumbleweed Hotel and The Wolf, among other publications; a dramatic poem in several voices has been performed at The Royal Court Theatre Upstairs, and currently, she is writing a novel. 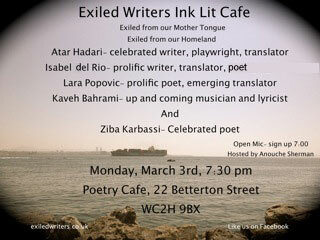 Exiled Writers Ink, founded in 2000, works to promote the creative expression of refugees and exiles and to encourage cross-cultural dialogue. EWI is a non-political organisation that advocates human rights. The launch of Survivors: Hungarian Jewish Poets of the Holocaust, with Andy Croft, Bernard Kops, Jennifer Langer, Esther Lipton, Thomas Ország-Land and Isabel del Rio. Nazi, neo-fascist and xenophobic parties are on the violent march again across Europe. The ‘radical nationalist’ Jobbik is now the third largest party in Hungary. Between March 1944 and April 1945, half a million Hungarian Jews, Roma, homosexuals and political dissidents were transported to extermination camps, mostly in Poland and Austria. Tens of thousands were enslaved in labour camps. Almost three-quarters of Hungary’s Jewish population perished. Survivors brings together, for the first time in English, poems about the Hungarian Holocaust by Dán Dalmát, Tamás Emőd, György Faludy, Eszter Forrai, Ágnes Gergely, Jenő Heltai, Frigyes Karinthy, Éva Láng, András Mezei, Thomas Ország-Land, Miklós Radnóti, Hanna Szenes, Magda Székely, Ernő Szép, Vera Szöllős, György Timár, Judit Tóth and István Vas. We will explore how writers investigate injustice and call for change. Sofia Buchuck (Peru) – who will also perform her music. 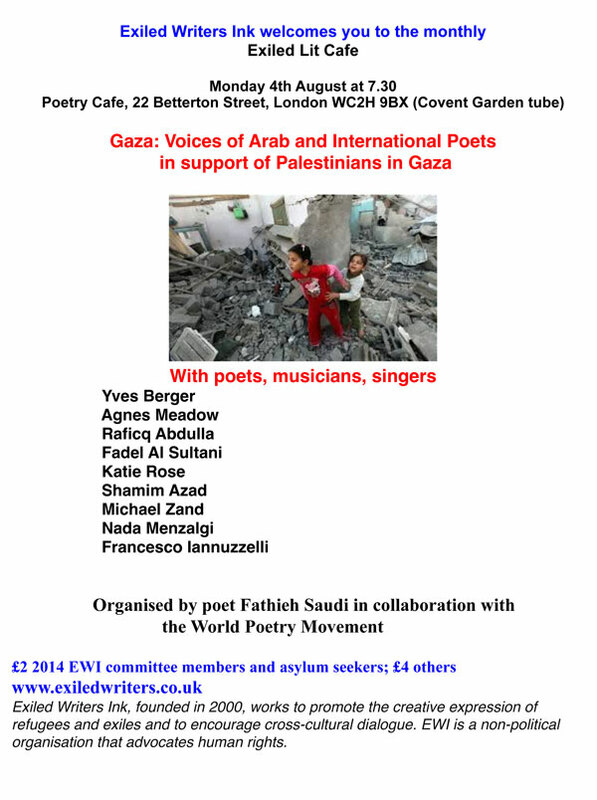 We look forward to welcoming you to this evening of literary activism! MARIA JASTRZĘBSKA: Her poems journey from tender childhood memories to deeply human awareness of sexuality, identity and language. ANNA MARIA MICKIEWICZ: Writes succinct poems presenting a story, a sense of place, an atmosphere, in just a few lines. WIOLETTA GRZEGORZEWSKA: Arrived from Czestochowa, leaving behind the upheavals and excitement of post-communist Poland to find inspiration along quieter shores on the Isle of Wight. KATARZYNA ZECHENTER: Her intelligent and thoughtful poems combine wisdom with humour and irony in order to create distance without negation or nihilism. HOSTED BY DAVID CLARK: who loves dancing in squares in Krakow and writing about his travels…. DO ARRIVE EARLY AS SPACES ARE LIMITED: Café open for coffee and snacks all evening. Esmail Khoi is a major voice of the Iranian diaspora. 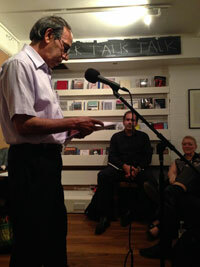 Born in 1938, he was educated in Iran and England returning to Iran as a philosophy lecturer. In the 1960s and 70s he was opposed to the monarchical state in Iran advocating revolutionary change through his poetry. In the early 1980s as a leading member of the intellectual opposition to clerical rule, he spent almost two years in hiding before fleeing his homeland. He has emerged as an articulate chronicler of life in exile and a fierce defender of political freedoms and human rights the world over. He has published over thirty books in Persian. Selections in English translation includeEdges of Poetry, Outlandia and Beyond the Horizon (2008). A collection has also been translated into German. Esmail Khoi is recipient of the Amnesty International Human Rights Award and of the German Coburg Ruckert-Preis for literature. He is an Exiled Writers Ink patron. Mania Akbari celebrated film-maker and author of My Mother’s Black Chador (Nogaam, 2013). Mania will show some of her videos and read from her new short story collection. Mania Akbari was born in 1974 in Tehran and has worked variously as a painter, a filmmaker, and now as a writer. She was the star of Abbas Kiarostami’s film “Ten” released in 2002 to widespread acclaim. Two years later, she wrote, directed, and performed in her first feature length film “20 Fingers”, which tackled a variety of socially complex issues, from divorce to homosexuality. It won the ‘Best Digital Film’ plaudit at the 61st Venice International Film Festival. Between 2004 and 2007 she produced a widely praised collection entitled ‘Six Video Arts’ which featured at exhibitions from the Tate Modern to the Locarno Film Festival. The experience of successfully overcoming breast cancer impelled her to direct and perform in the film “10+4”. In 2010, she released the documentary “30 Minutes to 6AM”, which explored themes of revenge, justice and pain in the story of a young Iranian facing execution. Facing an atmosphere of heightened censorship and political scrutiny in Iran, she was forced to abandon work on her next feature “Women Do Not Have Breasts” in 2011, after which she left the country for Europe. Mania Akbari has settled in London, and having finished her 2012 film “In My Country, Men Have Breasts”, has had her collection of short stories published entitled My Mother’s Black Chador. Nasrin Parvaz was born in Tehran in 1958. She first came to the UK in 1978, at the age of 20, in order to study. When the revolution broke out the following year she returned to Iran for a brief visit to her family, not realising that she wouldn’t be back in Britain for another 15 years – as an exile. In post-revolutionary Iran she became active in the field of women’s rights and civil rights, and was arrested, tortured and sentenced to execution in 1982. Her life was saved by the intervention of her father, who managed to get her sentence reduced to imprisonment. She was released in 1990 after spending eight years in prison. 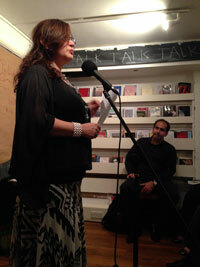 Realising that she could no longer stay in Iran she fled to the UK, where she claimed asylum in 1993. Nasrin published her memoir in Farsi in 2002 Zire Boteh Laleh Abasi and the Italian translation was published in 2006 by Effedue Edizioni. She is continuing to write fictional accounts of the lives of people in Iran and their struggle to change their situation. 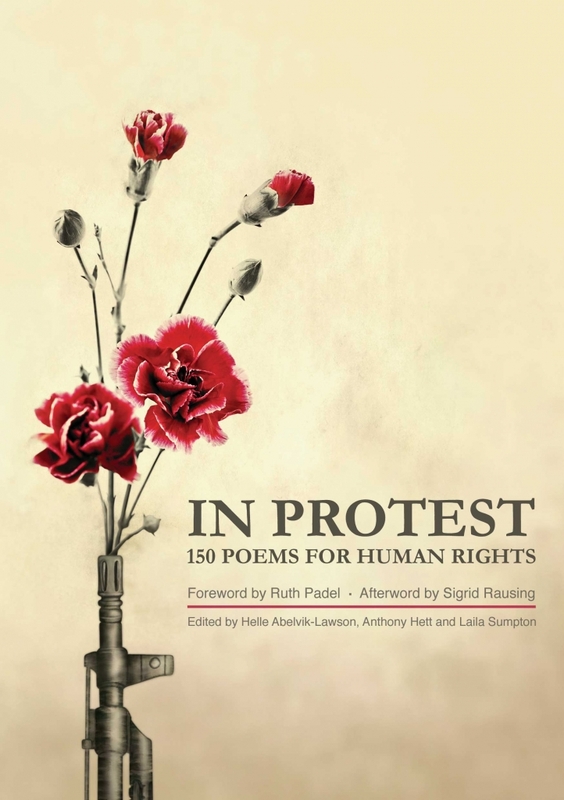 Together with poet Hubert Moore, Nasrin has translated some poems that have been prohibited in Iran from Farsi into English. These are published in the Modern Poetry in Translation series. Through their poetic work, four Jewish poets from Argentina, Iran and England explore in very different ways, whether their poetry is invariably a representation of identity and if so, which one. Is it possible or desirable to escape from the poetics and politics of identity through poetry? Special Guest who is a published poet. Simon Altmann was born in Buenos Aires, which he first left in 1949 to do a PhD in the Theoretical Physics Department of King’s College London. 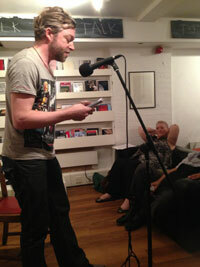 Since his teens he has written poetry, first in Spanish but after ten years in the UK in English. He has published a collection of some 230 poems as an eBook (“Not for Poets”). On his return to Buenos Aires he was given the sack in the University for his refusal to join the Peronista Party. He then left Buenos Aires for a second time to become a post-doctoral at the Oxford Mathematical Institute. After five years, on Peron’s fall, he returned to Buenos Aires to help rebuild the University but he found that other returned exiles were behaving like the Peronistas had done before and he then went back to Oxford, where he is now retired. He has published five maths books and three on history and philosophy of science. Besides his poetry he is currently working on history of art (Las Meninas, and the Annunciation are his recently published papers). Gabriel Spiers was born and went to school in north west London. While at school, he developed a passion for rap music/poetry which he started to write and perform himself. He was frequently commissioned by teachers to write them on specific topics to correspond with the themes of the particular assemblies in which he was asked to perform them. 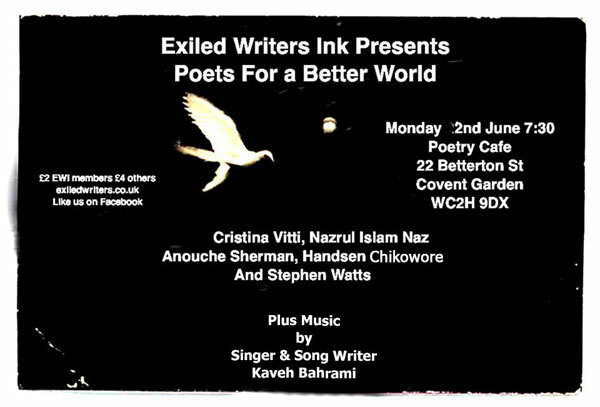 Now he continues to write and perform and has now performed twice in the open mic slot of the monthly Exiled Writers evening. Adam Taylor. His poems have featured in national newspapers and poetry journals. He has performed widely including at the Edinburgh Fringe, Jewish Book Week and Ledbury and other poetry / literary festivals. He had a stint writing and broadcasting topical poems as resident poet for “The World Today” on the BBC World Service. Adam’s poetry book is called “God’s Face In Your Gazpacho”. www.adamtaylorpoetry.com.